How well do I have to swim to join? We swim in several lanes catering to a wide range of abilities, from social to serious. At a minimum, we ask that you can swim at least 100m of continuous freestyle. If you are not quite there yet, we recommend a learn-to-swim session at your local pool. Read our FAQs for more information. Whether you are a member or a guest, the costs are the same. These fees cover our coaching and lane hire. Aqualicious counts as a Group Fitness Class at City Aquatics Centenary. A single session costs $17, a 10 session pass is $125, and a 25 session pass is $255. In addition to our own squad sessions, the passes can be used for any group fitness programmes, at any of the facilities run by City Aquatics. Student and concession prices are available. You might also consider the flat rate City Pass, which enables unlimited access to most of the group fitness and gym facilities at any City Aquatics location in southeast QLD. As a masters swim club you must be 18+ years of age to swim with us. You wouldn’t buy a car without test driving it, and we ask that you do the same with us to make sure it’s a good fit! You can swim with us as a guest for up to 5 sessions or for one month, whichever comes first. When swimming as a guest, don’t forget to pay as above! We meet on pool deck 10 minutes before the start of training. Please introduce yourself to our coach before the session. If you want to continue to swim with us after your guest sessions (and we hope you do), you’ll need to join as a member, as given in the instructions below. Click on the link below, choose Aqualicious as your team, and follow the prompts. Note that as a member you still have to pay the session fees at the pool desk, as above. Depending on the time of year 12, 4, or 16 month memberships may be available. Most of our members have a 12 month membership, which costs $105* for the calendar year (1 Jan to 31 Dec). Of this, Aqualicious receives about $23, with the remainder being fees charged by Masters Swimming Australia and Masters Swimming Queensland. 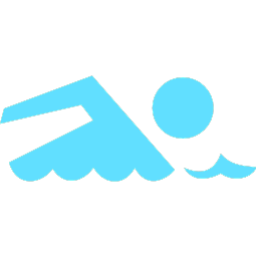 This will make you a full member of Masters Swimming Australia and Masters Swimming Queensland, and covers you with mandatory liability insurance. You will also get an AUSSI masters number that uniquely identifies you if you choose to compete in swim meets. *Reduced price Health Care Card memberships are available to those who qualify. You will have to supply us with proof of your concession status after joining. We will email our existing members instructions on renewing your membership in early December each year. If you think you might have swum with masters before, ask our coaches to direct you to the registrar. Email us at qal@aqualicious.com.au with any questions about swimming with us, or joining as a member.